Robust 4WD vehicles are essential for travel in Botswana due to the variable conditions of the tracks within protected areas. 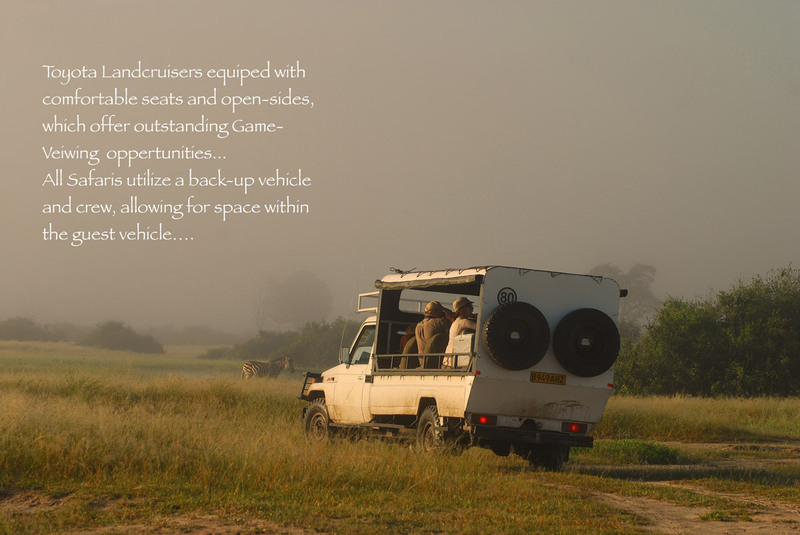 Wilderness Dawning operates specially-modified Toyota Landcruisers that accommodate either 8 or 12 guests. All vehicles have an open roof and sides (with roll-down weatherproof canvas, or in some cases, windows that fold down) and thus offer the best game-viewing opportunities. They also come equipped with first aid kits, a fire extinguisher, individual bucket seats with seat belts and a cooler box for beverages. Our guides are in 24-hour radio or cellphone contact with our operations base in Maun. We carry out twice-yearly risk management assessment of our procedures and operations to ensure maximum client safety and due care. Wilderness Dawning offer an above-average level of comfort whilst camping. Our tents are 3 x 3 meter dome-type, big enough so that someone can stand inside. Tents are made from durable rip-stop canvas and have sewn-in ground sheets. 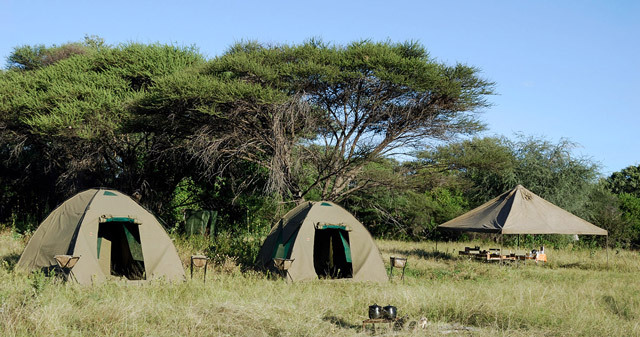 They come equipped with sturdy camp beds, mattresses, fitted sheets, pillow, pillow cases and sleeping bags or duvets. Other equipment used on safari to enhance our guests comfort are camping basins, wash stands, hot water bucket showers and water-based chemical toilets Safari style fold-up chairs and six foot tables are provided (all meals eaten from the table).